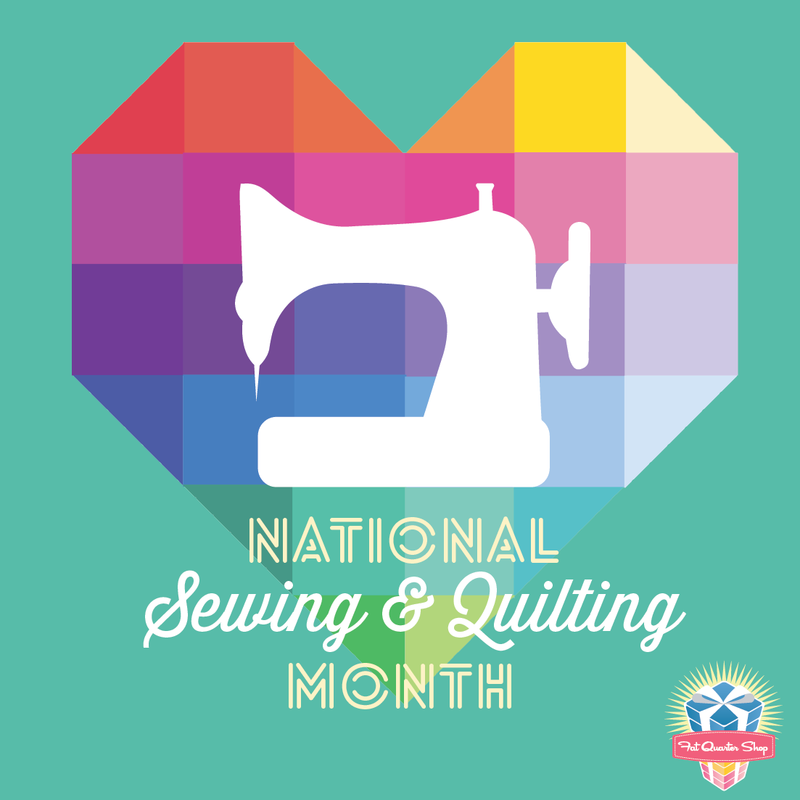 I Love Quilting and Sewing Blog Tour + a GIVEAWAY! 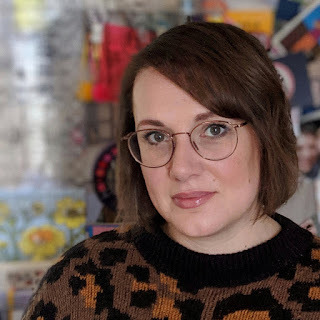 The Fat Quarter Shop are celebrating National Sewing & Quilting month with a fun blog tour and I was happy to take up the challenge and answer a few questions! I decided to make myself a laptop bag from the fantastic book Quilting on the Go by Jessica Alexandrakis. I challenged myself by changing the English Paper Pieced shapes to 60° diamonds and squares, which Jessica used so beautifully in her Tanuki stripe throw, and adding magnetic closures. I have never used magnetic snaps before, it was super easy thanks to this noodlehead tutorial, but I did have to wrangle with turning the lining through to install them rather than adding buttons at the end as per the pattern! The book shows you how to easily make a laptop case based on the measurements of your laptop and mine fits perfectly. I used Cotton and Steel scraps to make the case and hand quilted it using #8 perle thread in simple straight lines. I also decided to add some detail to the flap by stitching some pluses, inspired by Rachael from Blue Mountain Daisy and her beautiful stitches. This was #10 on my FAL list (though I'm not going in numerical order unfortunately!!). I spend most evenings (and nap times) quilting and I always feel happy and satisfied when I've been able to have time to sew. 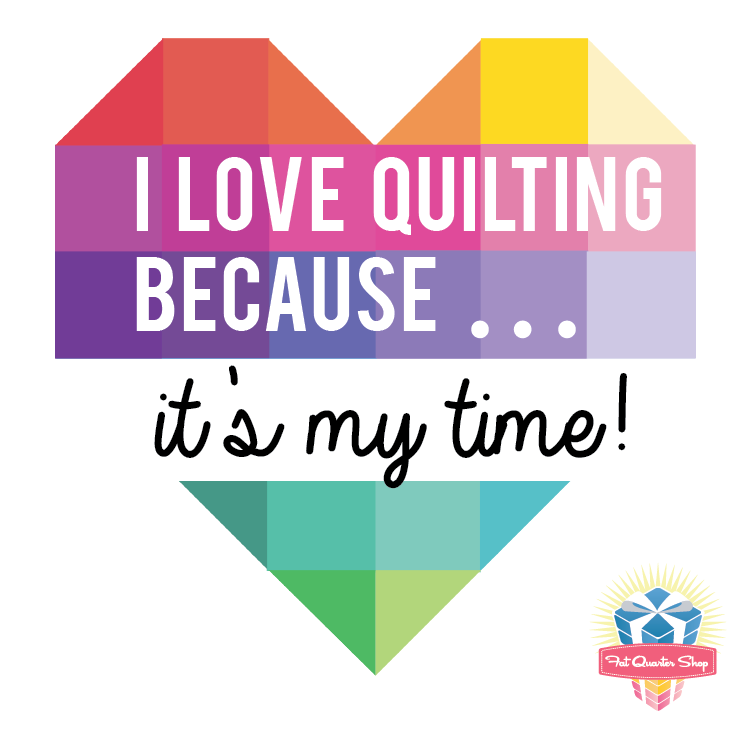 The Fat Quarter Shop created this banner for me, it's my nod to the famous Goonies* 'it's our time' speech - quilting is my time; to relax, create and do what I love and get excited about the possibilities. I started quilting just before I started this blog, encouraged by my cousin and my Aunty. I remember doing some blackwork embroidery when I was young and using a sewing machine at school. I love trying new techniques and currently hand quilting, hand piecing, EPP and cross stitch are my favourite. I like the slower pace and have a couple of hand sewing projects lined up to take me through the winter! I think after I had made a few quilts and wasn't about to stop! I am constantly making mistakes but none of them too horrific and honestly I don't care if I mess up, it helps me learn. I do know I have to stop when I'm tired, too often I sew things back to front, upside down or just wrong! I think it helps to have someone teach you in person, a friend or a class. There's so many amazing bloggers that post tutorials and tips that you can learn from. It's important to sew things you love, using fabric and combinations that make you happy, and don't worry about getting it 'right', play and enjoy! The Fat Quarter Shop have released a super cute 'Color My Heart' quilt pattern that you can download for free here. Lucy of Charm About You - you are here! Erin of Why Not Sew? Here in the UK it is National Cupcake Week and although I've not done any baking I do have a sweet treat for you! 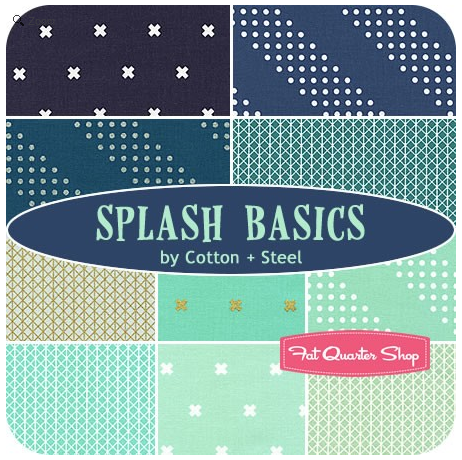 The Fat Quarter Shop is kindly giving away this Splash Cotton + Steel Basics Fat Quarter Bundle to one of you! 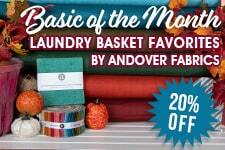 I chose this bundle because obviously I've been working with the lovely Cotton and Steel fabrics and love them. The basics are totally beautiful, that metallic print on the top is one of my favourites, and this bundle has gorgeous colours from the minty greens through to navy blue. 1. 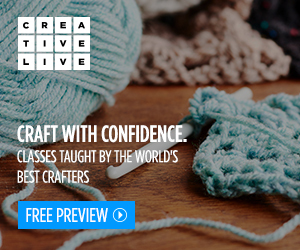 Leave a comment, say anything or tell me how you would like to challenge yourself in your crafting. The giveaway is open until Monday 22nd September at around 8pm (BST). The winner will be chosen by random.org and announced here on the blog. * I am overly excited at the prospect of the Goonies sequel. Never say die. I follow your blog on Bloglovin. ...I am challenging myself to make more Christmas crafts this year. Thanks for the opportunity to participate in the give away! I need to challenge myself with my quilting - I need to bust out of my comfort zone & try the things that scare me a bit, nothing major just sewing curves & circles & giving FMQ a proper go & actually practice it. Thanks for the lovely giveaway. I follow on Bloglovin thanks. Lucy I mostly appliqué and I would like to piece more. I had no idea it was national cupcake week, I'll do my best to eat some cake, though I won't be baking any. I'm a bit obsessive about perfect points so I like to challenge myself to get those right. I´m trying to sew a prom dress for my sister! Hi Lucy, that laptop case looks great! Love the pattern and the hand quilting. I also tend to make mistakes when I'm tired. Recently I cutted the end of a binding too short and had to sew in a small piece. Better to do some mindless quilting or hand sewing in the evening. PS: I am a long time follower. at the moment it'd be a challenge enough to sit at the machine! I'm making a plus quilt for a friend's baby! I'd like to get better at FMQ and sew some curves! I think my next challenge is English paper piecing. I love foundation paper piecing, but haven't tried EPP yet. Thanks for the giveaway. How to challenge myself -- I really need to try out free motion quilting. All of the machine quilting I've done has been with a walking foot. Regarding The Goonies, I know a lot of people love that movie but I've never watched it for some reason. I resized a pattern does that count? I am fairly new to quilting, so most of it is a challenge, but I am determined to conquer it. Thanks! Thanks for the chance to win that pretty bundle! I'd challenge myself to finish things! I love Cotton & Steel Basics.. I love Alex's book and your laptop cover is gor-geous!! I have to get back to my Tanuki Stripe project. I really need to get out of my quilting rut - i only straight line quilt and I'm not very good at it :( Thanks for the chance - I love the bundle!! I want to someday machine-quilt a bed-sized quilt (on my domestic machine), AND someday hand quilt a bed-sized quilt! Those are my "to-do" challenges. I follow your blog via Feedspot! thanks for the chance! I am challenging myself to make a large (bedsized) quilt in a quilt-as-you-go method I designed myself, with four large groups of blocks, batting and backing quilted separately, and then joined on the fronts with machine, batting whipstitched together by hand, and backing edges sewn by hand. Right now I am in the middle and am already - lol...- figuring out how to cover up or 'move' 4 tiny cuts I made in the backing, and taking out about a quarter inch of stitching on the bottom of every quilting line. Challenge! I am learning to FMQ with my walking foot, and that is a challenge and a half for me! I love your computer case! I, too, love the Cotton and Steel line. My challenge is to learn how to free motion quilt and become comfortable doing it. I understand this could take quite some time! I've just signed up to follow you through Bloglovin. Seems we're almost neighbours as I live in Leeds. I follow you on bloglovin. gathjem(at)msn.com. I really want to make a farmers wife quilt - I think all those tiny pieces will be challenging. And I've never used templates before.... Now what's this about a Goonies sequel??? I would like to challenge myself by learning how to machine quilt. Nothing fancy, just the basics; I've never done it and it intimidates me (I was kind of put off by a friend's comment) and I'm afraid that I'll mess up whatever I've spent so many hours on - but I really do need to figure it out! I love The Goonies! I taught my youngest the truffle shuffle and it is hilarious to see her do it. For some reason my hubby has never seen the movie, must add it to the Netflix queue! Super bundle as a giveaway - really lovely colours. As a challenge .... I think I need to 'come out' as a learner quilter! 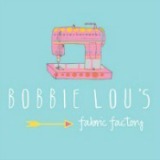 Would like to feel comfortable free motion quilting and sewing with a machine. I think my next challenge will be to make a bag, I've tried sewing zips for the first time this week too. I'm still new to quilting so it is easy to challenge myself! There are so many new things to try! Love the Cotton and Steel basics! My favorite part of quilting is the so many techniques you can challenge yourself with. I love to try new things and work in new color combinations. Sewing the same thing gets boring for me. I would like to challenge myself some day and do some big stitch hand stitching on a quilt. I follow you via bloglovin. Thanks for the opportunity to win! Turns out I wasn't following your blog, I follow your FB links though :) Following now, would love a chance to win those Cotton and Steel fabrics! I try to find a new way to do something or try a new pattern when quilting. I also like to try new gizmo's related to sewing. LOVE that laptop case. Kind of makes me want to make a case for mine - even though it is permanently plugged in and never goes anywhere! But really have you never used magnetic snaps before!? 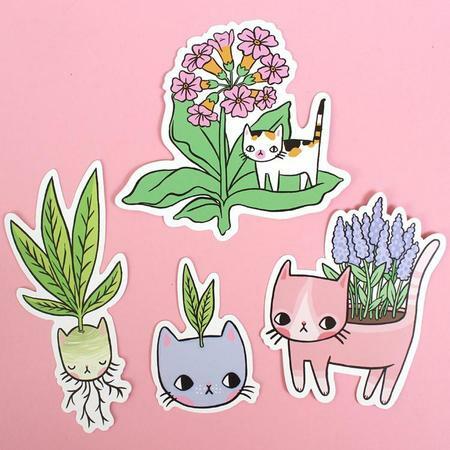 oohh such a lovely bundle. My next challenge is 4 memory quilts, I have the shirts cut up and now I'm piecing them. The challenge is they are not all cotton shirts, so I'm having some stretching issues, but I will work it out. I love making laptop cases, I usually make them with zip closures, maybe I could challenge myself to use magnetic snaps! I'd also love to learn how to do free motion quilting, at the minute I'm stuck in a straight line rut! National Cupcake Week!? That sounds like an awesome thing to celebrate! The US needs to adopt that... right now! A number of years ago I took a millinery class at our local college. Part of the class was crafting hats for 2 productions and I was asked to make a special hat for one of the department heads. She wanted a pillbox type made of mink. MINK!?! I'd never even handled the stuff!!!! But I overheard my instructor say, "if you show her a picture she can make anything." Do you know how empowering that has been? So now as I see quilt designs I want to make and I think they are too challenging, I remember and go for it. Thanks. I didn't know it was cupcake week! Thank you for letting us know! And, yes, I follow you! What a great laptop cover! Lovely version and I love your hand quilting addition. I follow via bloglovin and IG. Thx for great giveaway! We had cupcakes last night for my daughter's birthday. We all wanted to try all the flavors so we kept splitting them - I got to try double dark chocolate and grasshopper! Those fabrics are so pretty. It would be perfect for my grandson's room. I am happily following with GFC. I would like to improve on my machine quilting. Cupcakes - did someone say cupcakes!!!? I follow you and that fabric stack sure is a sweet treat!!! No calories in that one!! I would love to improve my machine quilting! I would like to try my hand at sewing clothing. I am challenging myself to may an Irish Chain quilt! thank you! 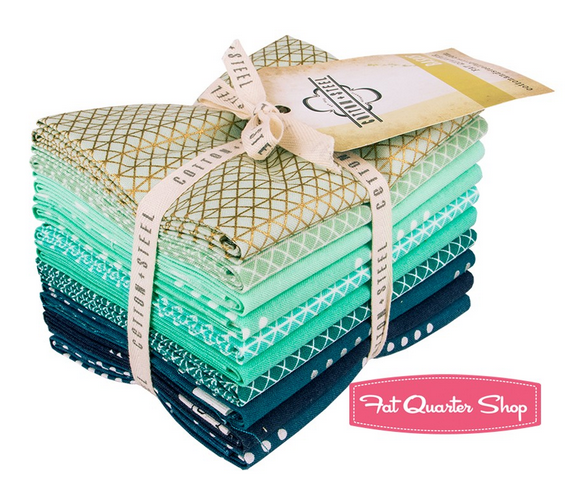 What a wonderful FQ bundle. I just love the colors. I want to challenge myself to learn long arm quilting. I found a shop that rents their long arm so now to move forward. I find that being able to find the time to do crafting is challenging in and of itself. I have been following you for awhile (you are even on my side bar!). 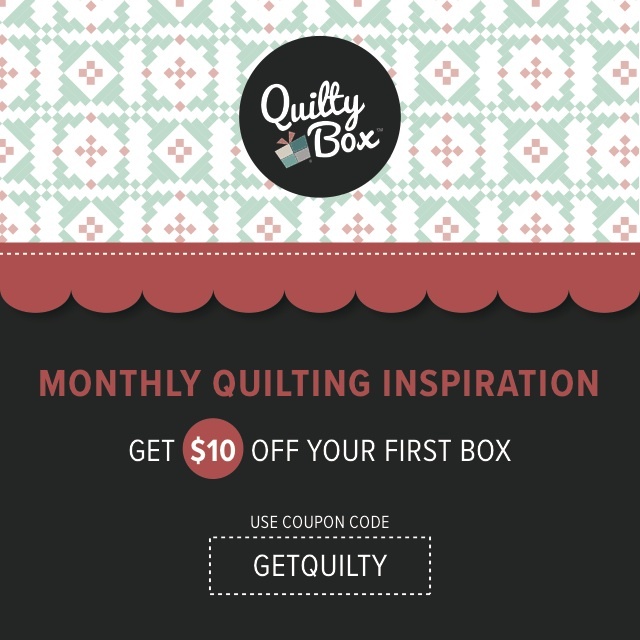 Thanks for all the quilty inspiration. Love your case! I follow you via blog lovin'! I want to learn to free motion quilt. I have tried it a few times and I am terrible at it! I need to get better. powersjlc(at)gmail(dot)com. I am learning more FMQ techniques. I also love hand quilting and have just started embroidering by hand. Thanks for the giveaway. I would like to become more comfortable picking thread colors for the finishing quilting instead of always using a neutral, an invisible, or matching thread. Cupcakes Are the comfort zone! Seriously, I have practically a phobia of zippers! Zippers on bags, pillows, anything. So I have to change that and just face up to it. I am already going for a flanged pillow, so how bad can a little bitty zipper be?!? Happy weekend! Curves, I love them but have avoided anything remotely curvy, silly but there you are. I do admit to indulging in a curvy cup cake or three though. sewing gifts for the holidays. challenge. My non-computer using wife is always finding new crafting things to do - the latest being re-covering a chair which she has never done before! 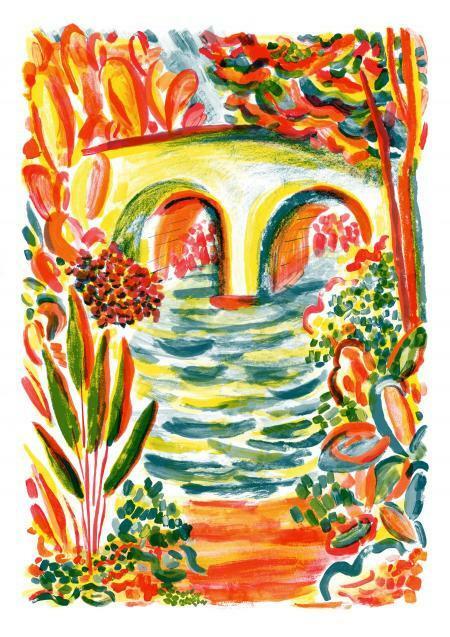 Following on GFC and Bloglovin as William Gould. Liked and shared on Facebook as William gould, and retweeted on Twitter as @gouldie7. I would like to challenge my self to do some free motion quilting. Thanks for the chance. I love Rachel's hand stitching - yours looks great! I would like to challenge myself to finish everything I start!! What? A Goonies sequel? How can you slip that in at the end and not say anything else? Now I'm going to be spending my morning google-ing for details!! I'm going to challenge myself by trying curves! #2 I follow via GFC as Cheryl Simplyblogs. BTW, I LOVE your laptop case! that laptop case is to die for, i really love it! I need to finish my UFO's! That would be a challenge for me! HAPPY TO FOLLOW>GFC+BLOG LOVIN' ! HI, right nor I'm challenging myself with FMQing, just learning and need more practice ! I would like to take on quilt. I stick to mostly smaller projects (still learning, very new). Thanks for the giveway. natalie.k711(at)gmail(dot)com. I love your laptop bag! I'm afraid I can't think of how I want to challenge myself in quilting at the moment. Not because I can do everything but because I do so little that the challenge really is to keep making progress with things and not be still making them three years later!!! The fabric is a lovely calorie free sweet treat unlike a cupcake! (Although I feel that I may have to try a cupcake or two!) Thank you for the giveaway. Ahh! I just exposed my probably-too-young 3 year old nephew to the Goonies. He lost interest at parts, but I watched the whole thing. Lol. Thanks for the giveaway- awesome! Just signed up to follow you via email. A great UK site. My FMQ is still a challenge for me. I'm not very good to say the least. I need to stop using straight line quilting and try some FMQ.